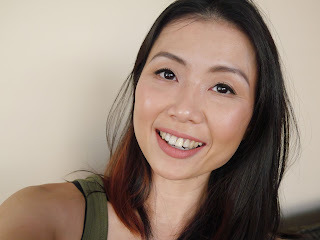 I have long been a huge fan of Face of the Day (FOTD) posts but it has been almost impossible for me to write one for myself. I am extremely fickle with my makeup and easily get bored using the same product again and again however that all changed recently. The new resolution in trying to use up or at least make a reasonable dent in my existing makeup collection has forced me to stop straying to other products every 2 days. It's definitely an interesting experience and in return, I have been wearing this very quick and simple makeup everyday for the past two weeks. This post is inspired by Ashley (Ashley Sue Makeup) and Anne (Linda.Libra.Loca) who both are one of my top favourite beauty bloggers. I received pur~lisse BB Cream SPF30 in my ipsy October glam bag and I loveeeee it! It gives decent coverage and the high SPF is definitely a winner. Garnier BB Eye Roll-on (reviewed here) is a rediscover and I wonder why did I stopped using it in the first place. I loved it in the past and I love it again now. Becca Shimmering Perfector in shade Opal has been my go to highlight, Essence Sun Club Matt Bronzer to warm up my face and finally, In 2 It Water Proof Blush set in shade MB 04 Sentiment has remained as my favourite blusher since September. Makeup Forever Aqua Shadow in shade 22E was a deal way too good to resist. I found it at Winners for a measly CAD4.99 so I had to purchase it with two more other shades. This range has been discontinued but I'm not bothered by it because these pencils are brilliant! The pigmentation is intense and it lasts all day without fading and creasing. I use it all over the lid and blend it out with a brush to the crease. Then I'll line my eyes with Maybelline Crayon Liner in shade Brown and finish it off with CoverGirl Super Sizer mascara. And for my eyebrows, I quickly fill them in with SilkyGirl Eyebrow pencil which I had since forever...not kidding, I think I had it for almost 3 years. Eek! The one and only Revlon Matte Balm in shade Sultry which I personally think is one of the most flattering pink shades and perfect for Autumn. Sorry for the messy hair, this picture taken at the end of the day after 8 hours because the earlier pictures were all wonky! 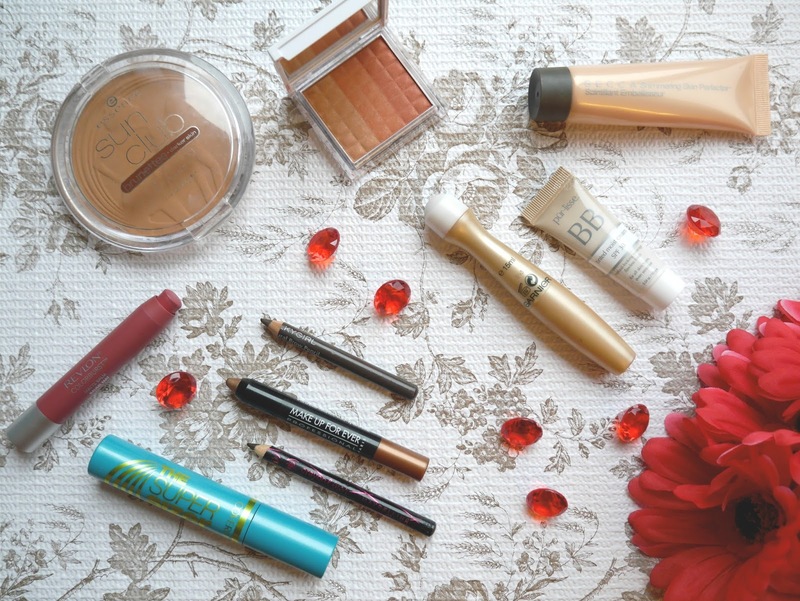 October has been a very interesting month of rediscovering all my old beauty favourites. I have been so swept away by the latest, newest releases that I forgot how many amazing products that I actually owned. I have also been purging my old makeup, it's a painful and teary experience but I needed to be realistic on what I will use and discard or give away anything that I know I will never touch again. What about you? What is your go to look and which beauty product has been a firm favourite for you? Over the weekend: It was Halloween but we decided to stay in. Little Tyke is finally recovered from a terrible cough and chest cold so we didn't want to bring him out in the cold. He's also still too young to understand and enjoy the celebration so fingers crossed that he'll have fun next year. Did you celebrate Halloween? How did it go and please share who you dressed up as?